There are some good options, but before we get to those, let's be a little more generous with the SSA income, based on the government's statistics. While the average monthly benefit was $1,234, 82% of beneficiaries receive a little more — $1,280 from "Old-Age and Survivors Insurance" SSA beneficiaries. The largest average monthly SSA benefit was $1,348 for retired workers, who made up 67% of the pool. 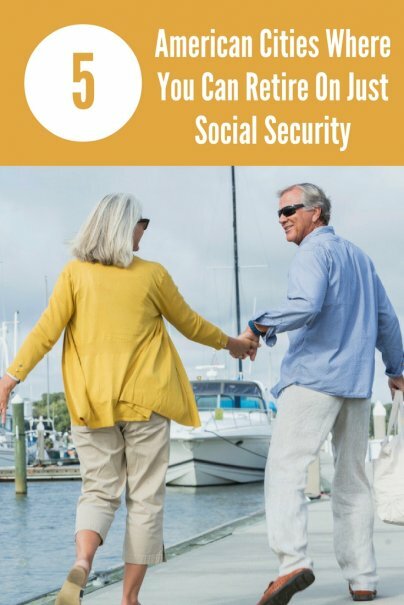 Assuming you're a retired worker receiving the average $1,348 each month from SSA, that's still a low amount of money to live on each month, considering that a retirement planning rule of thumb is to plan on having 70%–80% percent of your pre-retirement income replaced with SSA, a retirement account, or other form of income in your old age. For a couple who are both retired, their SSA income would double to $40,440 per year. But for our purposes, let's assume one retiree is living by themselves. So, where to live on the average SSA check of $1,348 per month for retired workers? In no particular order, here are five cities where it's affordable. Buffalo may come as a surprise for being a cheap place to live because it's in New York state. But the median monthly rent in Buffalo is $512, making it the cheapest city in the U.S. to live in, according to a SmartAsset analysis. Buffalo also has the lowest cost of living at 79.34, meaning that the U.S. average is 100 and that $100 in groceries, for example, would cost $79.34 in Buffalo. If you're looking for the cheapest rent in the country, this city of 20,576 residents has it with a gross median rent of $466 per month, according to data from the U.S. Census. Since housing is one of the biggest expenses in life, such low rent can make other expenses a lot more affordable. The average per capita income in Johnstown is $16,153, according to FindTheHome, putting the average SSA income in retirement above the average there. In this city, you'd be rich. 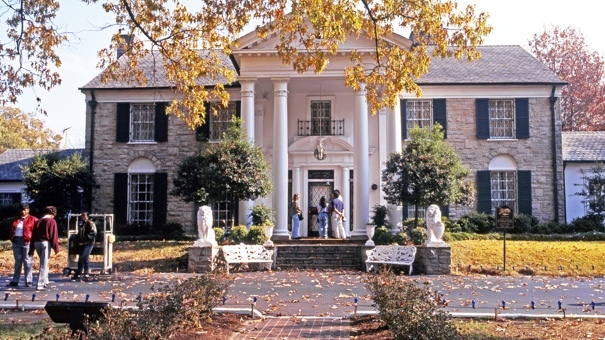 If you're looking for a large U.S. city that's affordable in retirement, Memphis is it. This city of 653,450 has low housing costs. The average apartment rent of $709 per month is 21% below the U.S. average, and the median home value of $98,300 is 46% below the U.S. average, according to Kiplinger. Living in the center of the country is usually cheaper than it is elsewhere, and Akron, Ohio proves that point by being one of the most affordable places to live in the country. Its median home price listing in August 2015 was $120,450, and the median household income was $45,628 — putting the average SSA income at just below the median. The amount of monthly income spent on housing, utilities, and commuting in Akron was 28.9%, allowing retirees to spend about 70% of their income on other things. 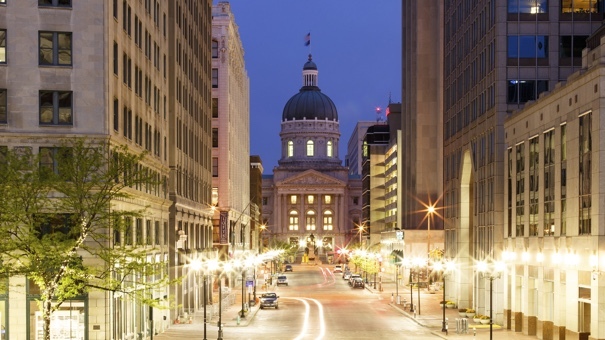 Listed by Trulia as one of the best cities to move to for a high-paying job, Indianapolis has low home prices for Millennials looking for work and for retirees, too. The median home price of $130,000 is $58,900 below the median home price in America. That allows about two of every five renters to be able to afford a typically priced home there. For retirees who sell their homes and have enough money to buy a home outright or put down a large down payment, then living with little or almost no housing costs can leave a lot of room in their budget for other things. The good news is that there are plenty more U.S. cities that are affordable for retirees who only have an income from Social Security. These are only five of them, and are a good start to investigate more when deciding on the cheapest places to retire. Just because everyone is equally as bad off doesn't make the cities a retirement paradise. Ah. The winters in Buffalo. The cultural amenities of Johnstown. The Moral of this story. Save. Invest. Don't let this happen to you. I've read somewhere that Memphis has either one of the highest crime rate or murder rate in the country. Yikes! And Buffalo, unless you like to shovel several feet of snow each winter. That's the fastest way to die of a heart attack. Indiana and Ohio, uh I don't think so unless you're ready to die from boredom. And isn't Ohio has some of the horrible crimes that made the national headlines? Thanks but I'll save and spend below my means. I was born and raised in Buffalo NY.Lived there 37 years till we left for a job.I and my family still miss it everyday and visit whenever we can ,I prefer when there is a lot of snow since I live in Florida and miss the beauty of a snowy white night.Its a GREAT city in so many ways,terrific place to raise kids,since it teaches values.It is culturally diverse like NYC and that is something I miss.I learned about people from all over the world all religion and learned tolerance and mutual love and mutual love and respect .We have beautiful housing ,some of the best architecture in the country downtown ,a gorgeous waterfront with Lake Erie and the Niagra River.Niagra Falls is about 20 minutes from downtown.In the 70s the city handled mandatory integration of the schools by making the schools magnet schoools so people chose to go to schools outside their district and as far as I know their was very little trouble.My children who are not minorities went to inner city schools to great magnet schools and they were actually in the minority literally in those schools but had no problems at all.Almost all of my and my husbands family still live there and we get very sensitive over people putting down our "City Beautiful" . I left as part of the the HUGE BRAIN DRAIN which subsequently left the lesser educated and largely NON STRIVERS, consequently resulting in its continuing downward spiral. No it is NOT improving. motto, if something can go wrong it will (and wont be fixed. ) Terrible doctors compared to real cities.misery.